I couldn’t sleep last night, overwhelmed by the task I set for myself. How does a person become self-sufficient? Where do I even begin? How many canned goods would I need? How often do containers of water need to be replaced? What if I never get the hang of knitting socks? This project seems so impossibly vast. What are the priorities? To get my head sorted out, and to put the project into perspective, I decided to write it all down. Everyone is different…. I thrive on lists and organization. To me there is something so satisfying about writing down a task… and then checking it off when it’s done. (I’ve even been known to write things down that I’ve already done, just so I can cross them off the list… shhh). 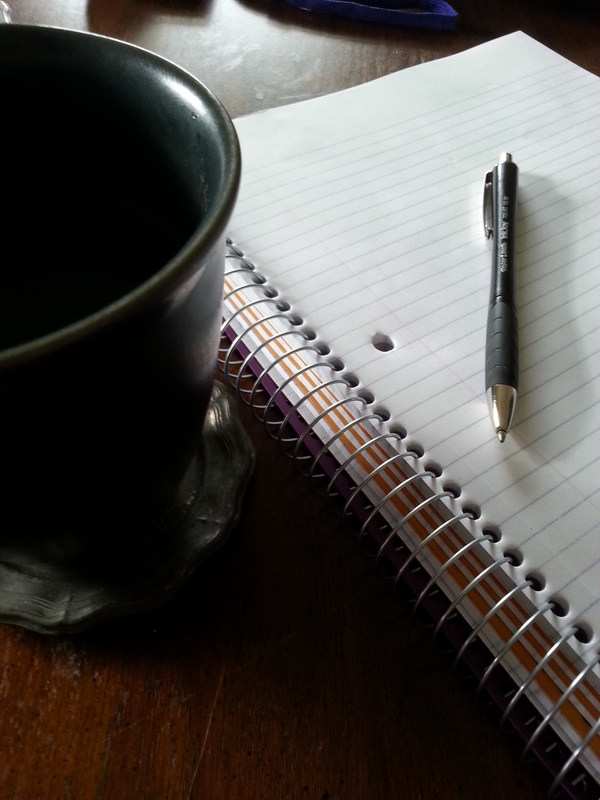 Of course, a new project deserves a new spiral notebook (purple, my favorite color), and a cup of tea (PG tips, strong and sweet), and a pen (nothing special about the pen, expect that it works.) The notebook has five sections with pockets. My plan is to assign each section to a different part of the journey…. Emergency Preparedness- what do I need to get through the magical 72 hours?…. What should I keep in the car? What should I keep in the house? Shelter in Place- A disaster or SHTF event keeps us locked in our homes… What do I need? Is a plastic tarp and duct tape vital? Long Term Evacuation- Time to bug out… Where do we go? What do we need? Prepper- Can I take care of myself and family for a year or more… without government help? Off the Grid Self-Sufficient- Land, a home, a farm, a life away from everything… a safe place. Posted on January 23, 2014 by Kath Kenyon CommentsNo Comments on Starting Out- How Far Do I Want to Go? Prepper, Homesteader, Self-Sufficient…. or Just Ready for Anything! Starting Out- How Far Do I Want to Go? Prepper, Homesteader, Self-Sufficient…. or Just Ready for Anything! In the last few years my life has changed in ways I never expected. Suddenly, I found myself a single mom to 3. (Granted, one is out of the house, and another is a teenager … but the last one is still young). We used to live in a house with a yard, but now we are in the top floor a duplex with less space…. and no real garden. Now, this is not a tale of woe is me. I certainly don’t expect violins. This is a tale of new beginnings. I’m ready to start a new life…. not just the life of the suburban soccer mom. But now I want to take it one step further. I want to become truly self-sufficient. Not just “oh look I can pay for things on one paycheck” self-sufficient…. I want to know that I can live through anything that the world throws at me. I want to be able to unplug from the crazy world and know that I have all the tools and supplies to survive. Real survival, whether it’s for a disaster (this is Earthquake prone California) or for the long term. In case of total social breakdown SHTF event, I want to be READY! Naturally, my first stop on the road to self-sufficiency was online. (Isn’t everything online?) The internet is loaded with websites filled with information on how-to unplug. Sifting through it all, I’ve only become more confused. Not to mention overwhelmed!!! Do I have the pioneer spirit to be a homesteader? Are my political views in line with today’s Preppers? Or do I let my “I can do it myself” nature take over and become self-sufficient. Do I really want to remove myself from the world entirely? Can I unplug… and survive? This year will be an experiment to see how far I am willing to go. Baby steps first… disaster preparedness… and then moving on to a deeper commitment of stockpiling supplies to last a year. Eventually, I hope to have to money to buy land where I can start growing my own food. Why am I sharing this information with you? Well… part of me wants to show someone that I have what it takes. Part of me is looking for ideas (and I’d love to hear your input) and then there is the teacher in me that wants to show other women and families what can work (and what doesn’t).